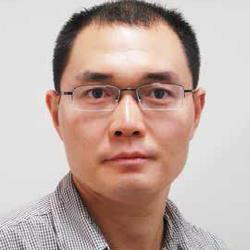 Chunyi Zhi, associate professor in the Department of Materials Science and Engineering, City University of Hong Kong, who is currently focused on flexible/wearable energy storage devices and sensors, and has published more than 190 papers, talks with Savita Verma about the yarn batteries and their future. There has been search for rechargeable textile based batteries to simplify the next generation personalised wearable electronics. Development of such batteries has been hampered by the lack of industrially weavable and knittable highly conductive yarns. This is what has been achieved by Dr Chunyi Zhi and Dr Yan Huang from the City University of Hong Kong and their team. 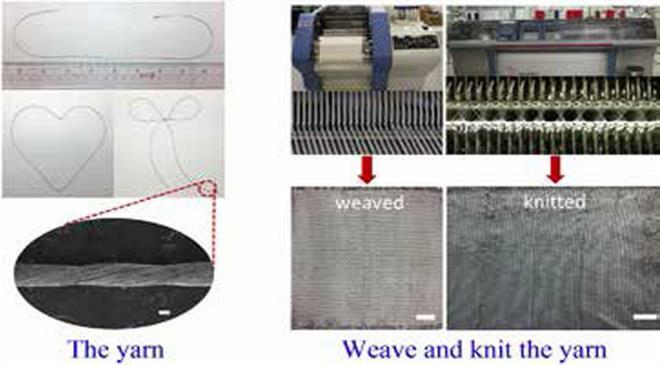 They have produced highly conductive yarns and used them to fabricate a yarn battery with state-of-the-art performance in terms of capacity, energy density, power density, and rate capability. The scientists have weaved these yarns to make a wristband battery which could power various electronic devices such as watches and LEDs, enabling dual functions of wearability and energy storage. Zhi believes that the yarn battery will be useful in wearable electronics, smart garments, and in healthcare in the future. The next in line is improving these batteries to make them washable, water-proof, and durable, taking them closer to commercialisation. The highly conductive yarns are uniformly covered with zinc (as anode) and nickel cobalt hydroxide nanosheets (as cathode). The yarn is strong enough to be woven and knitted by both machine and hand. TT: High-performance wearable nickel/cobalt-zincbased batteries are already known as an excellent source of power for personalised wearable electronics. You have developed yarn to facilitate development of such a battery. Could you elaborate what this yarn is? This yarn is drawn and twisted by ultrathin stainless steel 316L filaments which are spun at high temperature. Since the source of yarn is stainless steel, it is inherently highly conductive. TT: Does it mean that all of the conductive yarn is a battery or you need to do something to make a battery out of the conductive yarn? The conductive yarn is an electrode. With two such electrodes and electrolyte, a battery is made. TT: How do you see its use in practical situations? How does the battery benefit the users in comparison to the current scenario? This high-performance wearable battery imposes two considerable requirements for yarn electrodes: high electric conductivity and high mechanical strength. Although many conductive yarns have been demonstrated (for example, repetitive surface coating of carbon nanotubes (CNTs) and metals, spinning of carbonaceous materials, etc), the two desirable features for batteries are not possessed at least simultaneously, besides the cost-expensive and time-consuming limitations. TT: Your paper mentions a wrist band battery. How is it made? Does it mean that wrist band itself is made up of this yarn? Is the band itself a battery, or the battery is part of the band? The wrist band itself is made up of a cloth weaved by this yarn. The band is an assembly of five cloth batteries in series. TT: What is the significance of the battery being rechargeable? How does it help users? The rechargeability is very important for batteries because it means sustainable use and low cost. TT: As you say this battery needs to be charged. Therefore, if a wrist watch is made using this yarn as battery, it will need to be charged first. And then once the battery is used completely, it can be charged again. There is no need to replace the battery? Is that the benefit you talk about? Yes, exactly. Therefore, we call it "rechargeable". TT: And how is it recharged? With a power source such as a DC power supply providing current/voltage, the battery is recharged. TT: What all uses you see for this battery? Is it meant for medical purposes and how? The textile battery can be worn to charge various electronic devices, such as watch, sensor, etc. It is not just for medical purposes. TT: Do you see clothes or dresses with this kind of a battery? If you make a dress of this yarn, will the dress itself behave as a battery? Or battery will be embedded in part of the dress? We haven't seen clothes or dresses with this kind of a battery. If all technical issues regarding wearing comfortability and safety etc are solved, the dress itself can be a battery. The battery can also be embedded in part of the dress.